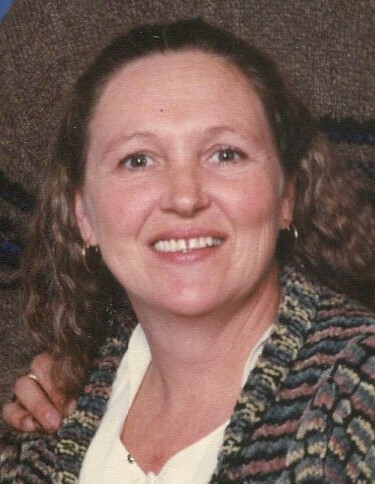 Garnett L. Smith, 65, of Rockford, passed away Saturday, October 20, 2018 after seven years of battling cancer. She was born on June 16, 1953 to Garnet and Nelscine (Traphagen) Harden in Peoria, Illinois. Graduated from Rock Falls High School and served in the U.S. Navy as did her father and many nephews. She married Robert on June 17, 1983. She was employed by Dixon Developmental Center and Singer Mental Health Center until her retirement in 2002. Garnett loved her vast collection of music, her garden, camping and kayaking with family and friends and, of course, her big spoiled "puppy", Duke. In the last two years she was able to see the Rocky Mountains with dear friends, Rick and Wilma. She went parasailing in the Gulf of Mexico with dear friends, Greg and Cheryl and went skydiving with Robert and Peter three months before her death. She lived her life to the fullest. She was happy and she was content with what was to follow. Survived by her husband of 35 years, Robert; son, Peter Cervantes; daughter, Jennifer Bellini; grandchildren, Preston and Marley Bellini; sister, Collie Olson; brother, Bill Swearingen; and many loving nieces and nephews. At Garnett's request, there will be no funeral. Thank you to her family and many friends who were by her side during this long, hard journey. Thank you to everyone at St. Anthony's Cancer Center and Intensive Care Unit. A special thank you to Dr. Mete Korkmaz for his love and compassion and who, like her, refused to give up. God bless you all. Garnett, we miss you so much.